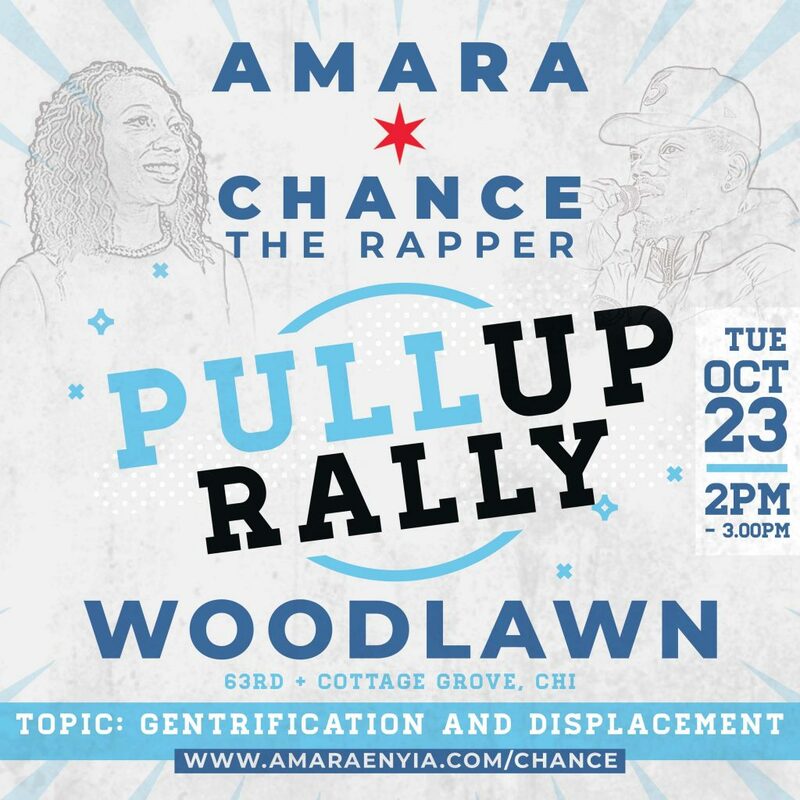 Amara and Chance the Rapper are coming to you TOMORROW at 2PM. They’ll be discussing your concerns around gentrification & displacement in the neighborhood. Find them at 63rd & Cottage Grove. If you want them to show up in your neighborhood, sound off below about issues you want to discuss!